The Dorchester Community Food Co-op was officially started in 2012 by a group of Dorchester residents who wanted better access to healthy food. The co-op already has more than 700 members, without having opened a store yet. For nearly 50 years, Harvest Co-op Market sold organic and locally sourced produce, natural beauty products and bulk bins full of whole grains at its stores in Cambridge and Jamaica Plain. Long before conventional supermarkets embraced the organic revolution, Harvest served the Boston community with a goal of building a healthier city. But on Oct. 3, Harvest’s board of directors sent a letter to customers announcing that the community-owned cooperative would be closing. The letter cited increased competition from “larger conventional chains” that now offer natural and organic food, often at cheaper prices. “This changing marketplace has created a decline in sales for our co-op that has intensified over the last two years, and the trend continues,” the letter read. The closure now makes Boston one of the few American cities of its size that doesn’t have a food co-op. But that may not be the case for long. 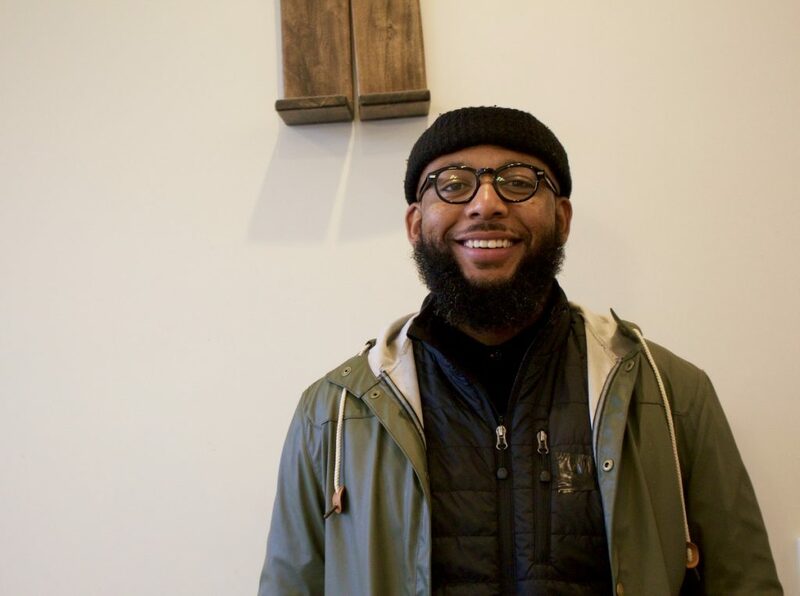 A grassroots organization in Dorchester plans to open a community-owned food cooperative in 2020 that will provide fresh, organic and local food options for the surrounding community. 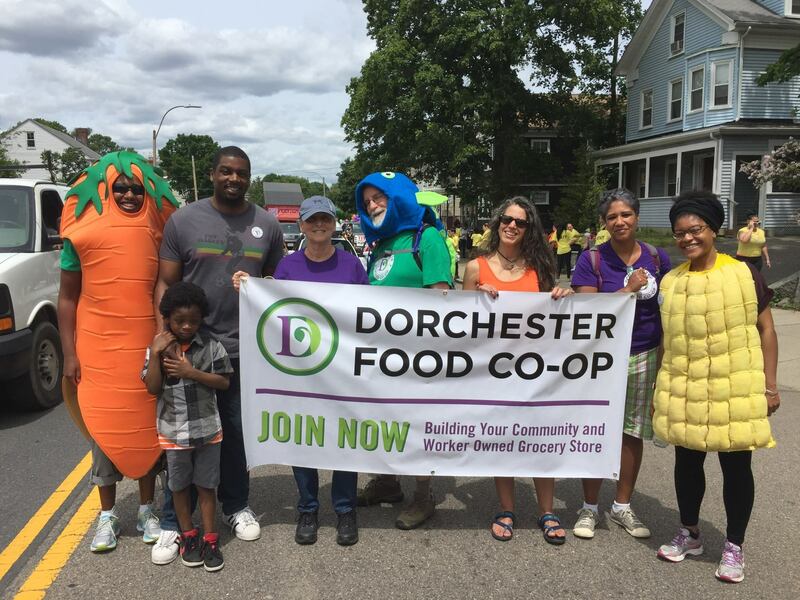 The Dorchester Community Food Co-op was officially started in 2012 by a group of Dorchester residents who wanted better access to healthy food. The co-op already has more than 700 members, without having opened a store yet. By the time that happens, they hope to have 1,000. In a consumer cooperative, shoppers can choose to be co-owners, paying a one-time cost of $100 to join. When the store opens, these members have access to special discounts. As the store’s profits increase, they’ll be able to share in those earnings at the end of the year. Perry, who is a member-owner himself, oversees the organization alongside a volunteer board of directors. He holds a master’s degree in sustainable international development and non-profit management from Brandeis University, and has a strong background in community organizing and social justice. “Food is at the intersection of that work just like the environment, just like class and gender and race,” Perry said. So far, the Dorchester co-op doesn’t even have an office space. Board members hold meetings in coffee shops and community centers. 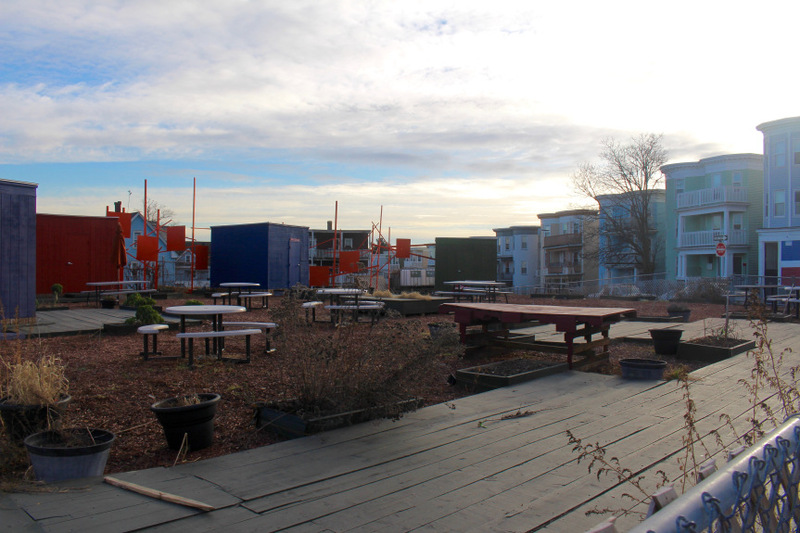 But they have selected a location where they hope to begin construction soon: the abandoned lot at 191-195 Bowdoin Street in Dorchester, where the organization hosted “Fresh Fridays” outdoor produce festivals in the summer. Funding has not yet been secured, making the project far from becoming a reality. 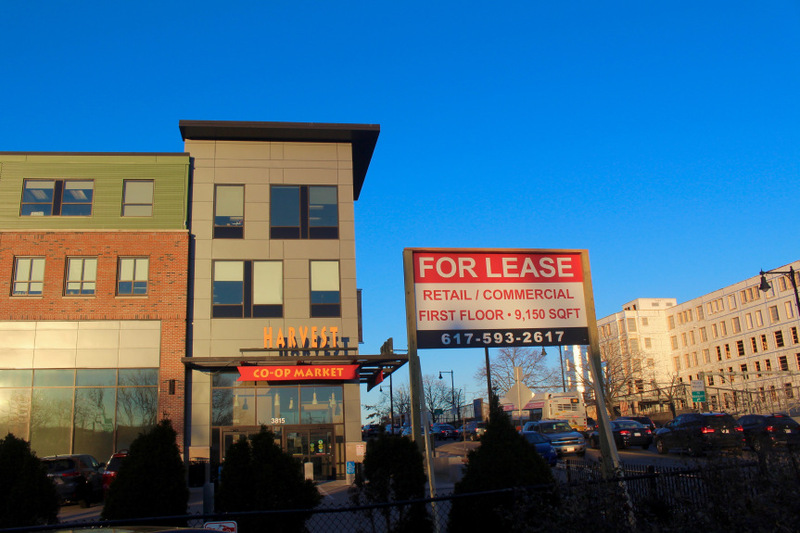 But the plan is to construct a shared residential-commercial space, with 40 affordable housing units – a project proposed by Dorchester-based Vietnamese American Initiative for Development – sitting above the co-op, which would rent a space on the first floor. For many people in Massachusetts, fresh healthy food can be hard to access. The Massachusetts Public Health Association published a study in 2017 showing that 2.8 million people in Massachusetts live in low-income areas with little access to grocery stores. The areas in Boston found to have the least access to groceries were all located in five neighborhoods: Roxbury, Dorchester, Mattapan, Roslindale and Hyde Park. Wherever access to food was sparse, according to the study, income was also low. To him, food injustice is directly tied to the intersecting issues of racial and income inequality. As confirmed in the MPHA study, affluent white neighborhoods tend to have better access to healthy food than the more low-income, non-white neighborhoods across the board. Perry believes a community-owned co-op can help solve this. The combination of poverty and low access to fresh, healthy food in neighborhoods like Dorchester is reflected in the overall health of the community. The 2010 version of the same MPHA study shows that, in these low-access areas, instances of diet-related deaths from conditions like diabetes, obesity and hypertension are much higher. Federal data shows places around Boston where 100 or more families live farther than a half mile from the nearest grocery store with no access to a car. When comparing those numbers with a a 2012 report from Virginia Commonwealth University on health outcomes, life expectancy is shorter in many of the areas facing access issues. In some parts of the Roxbury neighborhood, the life expectancy is as low 58.9 years. Former Boston Mayor Thomas Menino, who held office from 1993-2014, made it one of his personal goals to end the city’s food deserts by putting a grocery store in every neighborhood in Boston. Menino’s efforts, however, mainly resulted in the development of traditional supermarkets, like Stop & Shop and Star Market. Food cooperatives often have a deeper connection to the communities around them, offering health resources and education beyond simply selling products. Kristen Aldrich, a Dorchester resident and member of the Dorchester Food Co-op, said she likes shopping at co-ops because of the many products she can buy that are organic, natural and local. Before Harvest Market closed, Aldrich said she used to drive from her home in Dorchester to the co-op’s Cambridge or Jamaica Plain locations to buy her groceries. “At other grocery stores closer to where I live, it’s harder to find products like that,” Aldrich said. 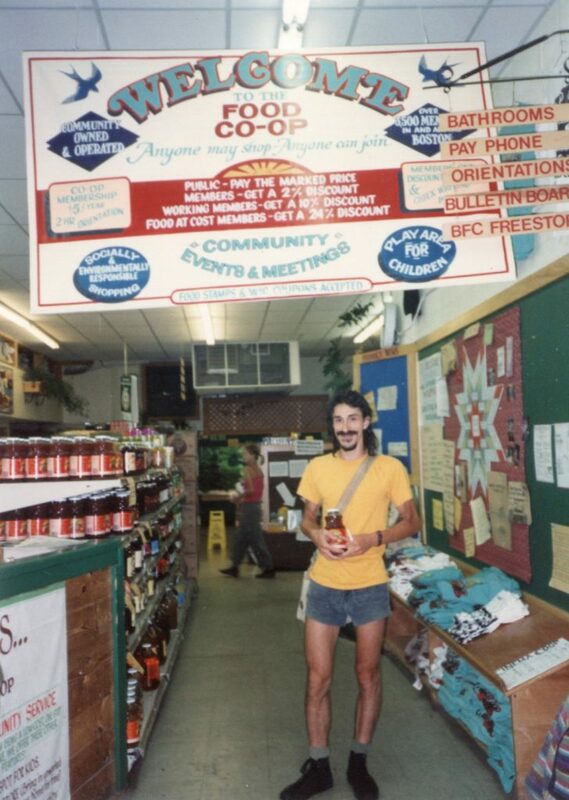 The business that became Harvest Co-op Market began in a similar way to the Dorchester Food Co-op, with a group of neighborhood residents and a desire for fresh, local produce. In 1971, a group of students on Boston University’s campus started a fresh produce-buying club, which developed into the Boston Food Co-op. It was structured as a worker co-op, where members put in a certain number of hours and were able to claim a discount on their groceries. 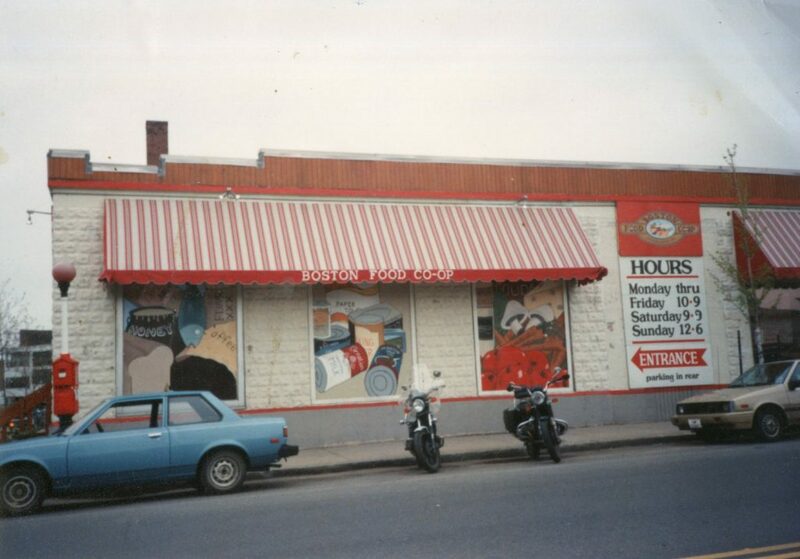 In 1975, another food co-op opened in Cambridge. When the Cambridge operation found itself on the verge of bankruptcy in 1992, it merged with Boston Food Co-op to form Harvest Co-op Market. Boston resident Tinker Ready was a member of the Boston Food Co-op in the 1970s while a student at Boston University. She said most co-op worker-members at the time were vegetarians and food justice enthusiasts who couldn’t really find the food they wanted elsewhere. Ready said she will miss Harvest Co-op, where she enjoyed buying honey and olive oil in bulk and grinding her own peanut butter at the bulk grinding station. 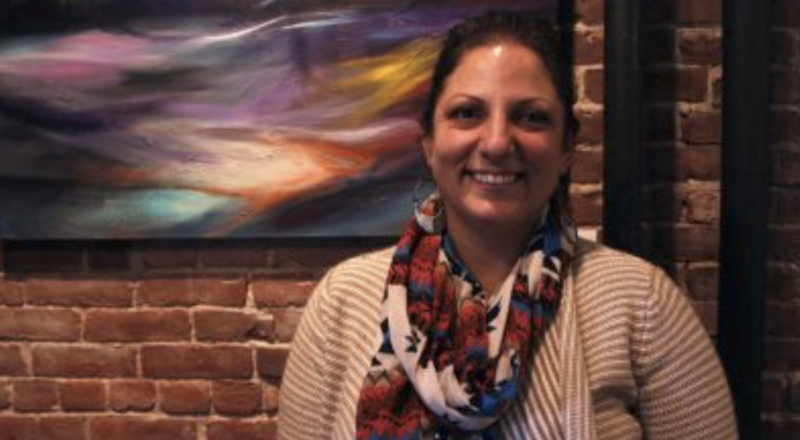 She said she lives too far from Dorchester to consider becoming a member of the Dorchester Food Co-op in the future. Doomed to the same fate? With the closing of Harvest Co-op Market so fresh in everyone’s minds, it makes sense to wonder whether Dorchester Food Co-op has been affected by the change. Boston resident Dorothy Clark helped sort and organize archival documents from Harvest Market when she was an archival studies student at UMass Boston. Clark said the documents she sorted revealed that the business seemed to face many challenges in the early years, often due to market prices and rent increases. The past decade, from 2007-2018, was the longest and most successful run for the co-op thus far. However, it still experienced heavy competition from the same sources. But organizers of the Dorchester Food Co-op don’t think there is any reason to assume their organization is destined for the same fate. After all, he said, when a traditional corporation shuts down, it in no way implies that all similar business models are destined to fail. Perry does see food co-ops as a potential long-term solution for solving “food apartheids,” but says they can’t do it alone. In that spirit, the Dorchester Food Co-op plans to engage with the local community as much as possible, offering classes and events to create a healthier neighborhood. 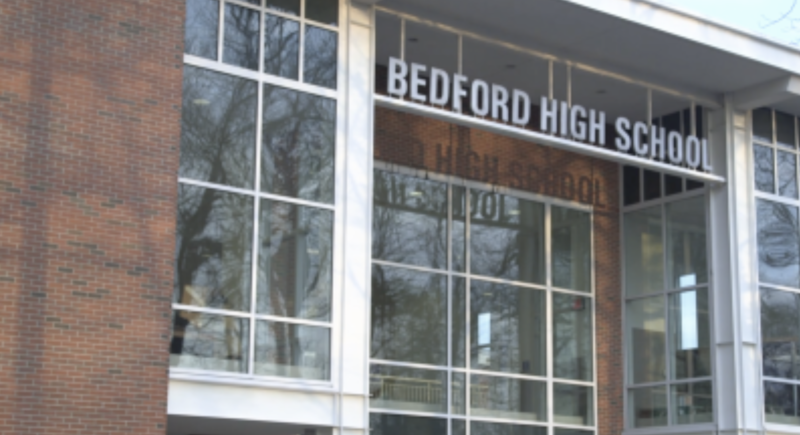 Already the organization has partnered with Level Ground Mixed Martial Arts, a non-profit in Upham’s Corner that trains young folks in health and fitness. Until the new storefront is open, the co-op is keeping busy by holding workshops and trainings to educate residents about cooperatives, community organizing, development and food justice. They run the Dorchester Winter Farmers’ Market at Codman Square Health Center and host Fresh Fridays in the summer. “That is a partial-vision for the co-op space, that we will offer opportunities for learning and growing and political education,” Perry said. Aldrich says she is looking forward to having the co-op in her neighborhood, though she worries that her lower-income neighbors may not be able to feel the same way. Perry says the co-op is cognizant of the fact that many of Dorchester’s residents can’t afford local and organic food as it’s typically sold, with prices consistently higher than conventional goods. He says the co-op is trying out different ideas, including a partnership with Boston Area Gleaners, a non-profit that redistributes surplus farm crops, to provide these kinds of foods at a price more suitable for Dorchester’s income bracket. The cooperative has named racial and economic justice as guiding principles that will shape the future business. It plans to offer culturally-relevant products that reflect Dorchester’s diverse ethnic populations, including sections specifically for Vietnamese and Cape Verdean products.